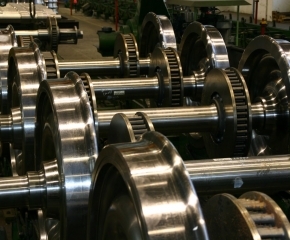 Wheelsets are key safety-relevant components of rail vehicle bogies. Their properties thus have an influence on such important aspects as life cycle costs and sound emissions. Speeds in excess of 300 km/h or fast travel on bends calls for particularly complex designs and production processes. We develop and manufacture weight-and vibration-optimised wheelsets, including drives, wheel- and axle-mounted brake disks, axle protection against stone impacts, etc. 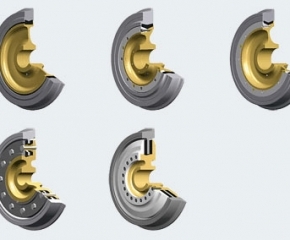 Besides wheel tread diameters up to 1,300 mm and greater, the drive technology of modern high-power locomotives requires sophisticated drive interfaces directly at the wheel disks or on the wheelset axles. A particular case, for example, is locomotive wheelsets for coal mining applications involving wheelset loads up to 35 tonnes. Modern suburban trains, diesel or gas driven railcars and passenger coaches are fitted with monobloc or tyred wheels with a variety of wheel disk designs – for example stress-balanced, tangential- or double-corrugated – to suit the service conditions. 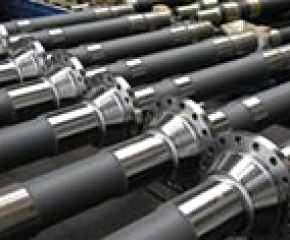 A very broad range of drive (straddle-type gears, hollow axle drives, bevel gear units, axle–hung drives, etc.) and brake concepts (axle- and wheel-mounted brake disks) are applied. This area of use involves very high wheelset loads. 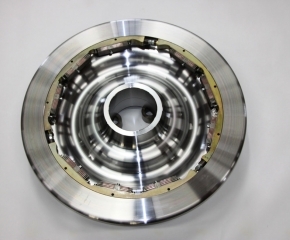 The block brake used in the majority of cases places high demands on wheel design and material owing to the thermal stresses to which it is subjected. The introduction of plastic soles, which reduce sound emissions considerably compared with the grey cast iron soles used mainly in the past, additionally increases the thermal stress. Wheelset designs appropriately approved for 25-tonne wheelset loads are available. A variety of vehicle concepts as well as gauges and track guiding systems operated by individual local transit services require a high degree of flexibility in terms of development and design and frequently involve extremely limited spatial conditions. 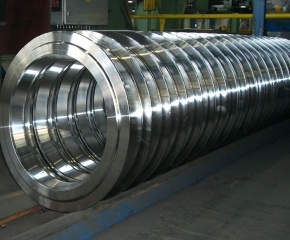 We supply complete solutions for the various vehicle concepts, ranging from classic wheelsets with resilient and vibration-attenuated wheels to low-floor wheelset components with independent wheel bearings, super resilient wheels, etc.